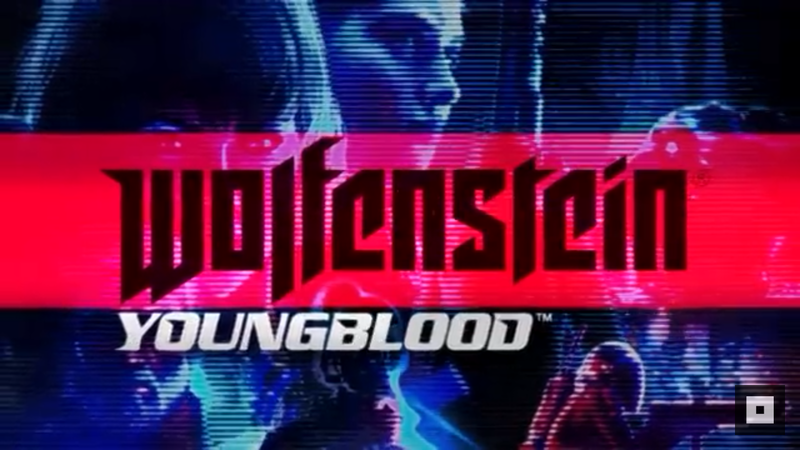 Last year at E3, The next installment in the Wolfenstein series was announced, titled Wolfenstein: Youngblood. The game was rumoured to come to Switch as well when Bethesda said that the next Wolfenstein would be coming to Nintendo’s hybrid console. Bethesda have released a new story trailer for Wolfenstein: Youngblood which officially confirms that the game is releasing on Nintendo Switch as well as PS4 and Xbox One. The trailer focuses on two new protagonists; Jess and Soph Blazkowicz AKA The Terror Twins. The Terror Twins are the children of the Legendary BJ Blazkowicz who is the main protaganist of the series. Wolfenstein: Youngblood will release on July 26th for PC, PS4, Xbox One and Nintendo Switch. The game can also be pre-ordered on Amazon and comes with the Legacy Pack. The Legacy Pack contains a few outfits worn by BJ Blazcowicz and some of his favoured weapons from the series like the pipe and knife from Wolfenstein: Old Blood. Jess and Soph Blazkowicz will stop at nothing to find their father, and that includes taking on the Nazi forces in Paris, France. Establish your home base deep in the Parisian Catacombs and tackle missions in any order you want. Team up with a friend or play with an AI companion and obliterate the Nazi regime. Along with the newly added co-op system, Youngblood features some newly added RPG elements. Explore Paris and take on the Nazis to level up and unlock new abilities, weapon attachments, gadgets, cosmetics and more. You’ll have access to updated and improved New Colossus weapons like the Dieselkraftwerk, Shockhammer (now called the Kugelgewehr), Laserkraftwerk and more, and you’ll also be able to tear through the fascist hordes with a number of new weapons like the iconic Maschinepistole and the devastatingly powerful Elektrokraftwerk. On its face, Youngblood tells the story of two sisters, but behind the scenes, it also tells the story of two sister studios. MachineGames has partnered with the creative talents at Arkane Studios in Lyon to bring you the latest installment in this series. When you pick up the Wolfenstein: Youngblood Deluxe Edition, you’ll get the Buddy Pass, meaning you can partner up with a friend, even if that friend doesn’t own the game. As long as that friend is playing with you, they’ll be able to download and play Youngblood for free, all thanks to the Buddy Pass. The Buddy Pass can only be provided to one friend at a time, but it can be reused as many times as you want. Those playing using a friend’s Buddy Pass can choose to upgrade to the full game and play on their own or with other players at any time. In addition to the Buddy Pass, the Deluxe Edition also gets you the Cyborg Skin Pack, a cosmetic pack designed to give you that titanium Terminator look. The Cyborg Skin Pack includes a shiny new skin for the twins’ Power Suits, guns, combat knives and hatchets.